You never know when to expect snow in this part of Kentucky and November is really a good bet that it will NOT show. 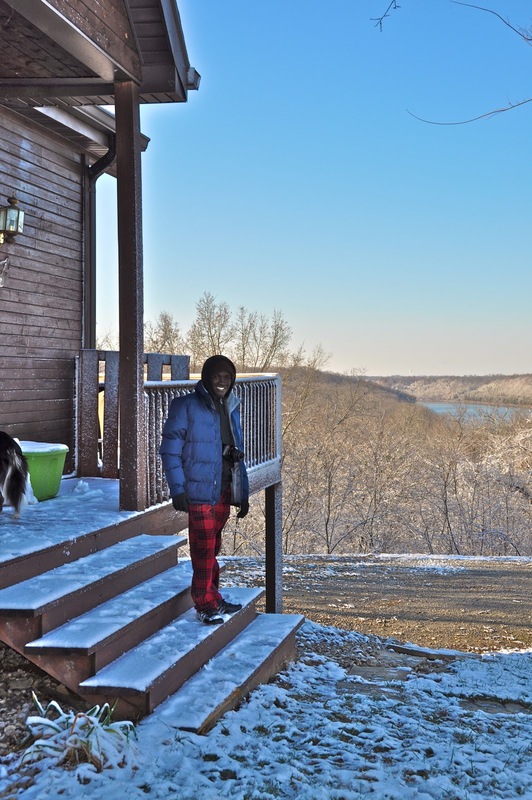 But bring a Sierra Leonean to St. Simeon Skete and the snow makes a very welcomed appearance! As is the practice at the Skete, the first Prayer Office (The First Cord) is said in the wee hours of the morning. So at 4:00 AM, James was notified of his gift that was now blanketing the grounds of the Skete. he was blessed with a real Winter Wonderland. Bundled up with a huge smile on his face, James can't believe that he was granted to see snow so quickly upon his arrival. All in all, having not yet been in America for 24 hours, America has shown him a beautiful welcome.